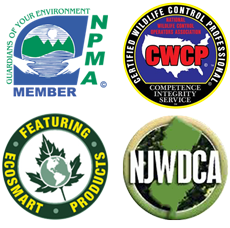 Squirrel Removal and Control in New Jersey. This squirrel was removed from an attic. Why Do You Need A Squirrel Removal? In residential neighborhoods, squirrels are notorious for eating out of bird feeders, digging in potted plants to bury or recover seeds, and inhabiting sheltered areas including attics and basements. Squirrels can even cause a fire by chewing wiring. Fires caused by squirrels may be rare, but also consider the very real possibility of squirrels introducing fleas or ticks into your dwelling, not to mention the damage they cause to your garden! 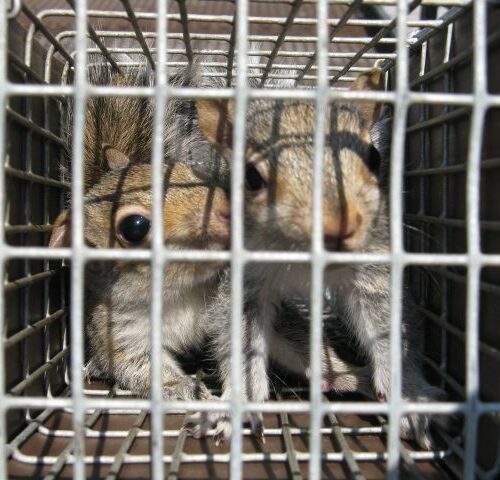 These issues can be fixed or prevented with squirrel removal and control. Get rid of Squirrels in your attic! Squirrels inhabit sheltered areas of your property including attics and basements. Squirrels will do anything they can to gain entry to a warm and safe dwelling. They will chew holes or use gaps in a structure that are already present due to faulty construction. 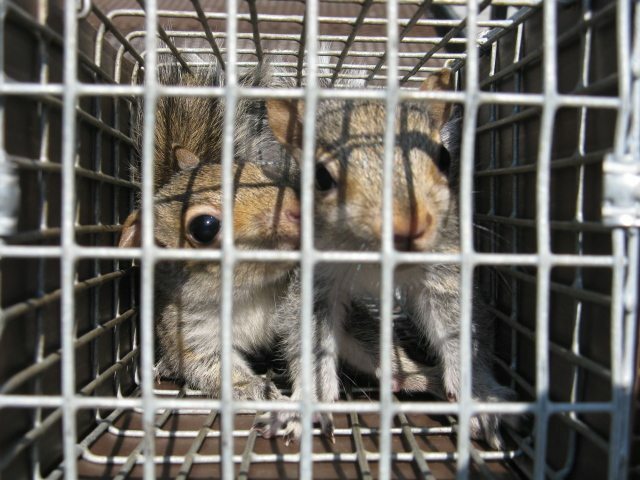 We can keep squirrels from entering your attic and get rid of squirrels that are in your attic. Squirrels and Flying Squirrels: The Difference? New Jersey squirrels are a clever and persistent animal. While those may be admirable qualities, these squirrels will ultimately be viewed as a nuisance. Once they start eating out of our your bird feeders, digging in your potted plants to bury or recover seeds, and inhabit sheltered areas of your property including attics and basements you might be less than happy. Other negative affects include their penchant for chewing on wires and duct work. Not to mention damaging insulation due to urine and feces, and carrying along fleas, ticks and foul odors. They may also scratch through the sheetrock, and enter your living quarters. Even worse, there is the risk of being bitten. 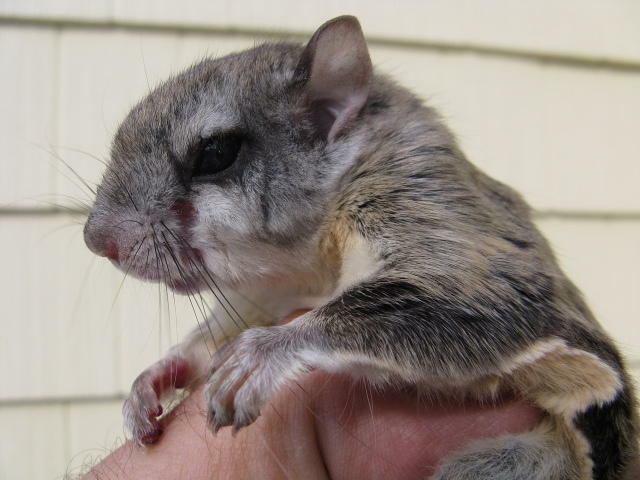 While flying squirrels are not like the normal squirrels you see regularly, they do pose most of the same problems. The main difference between flying squirrels and normal squirrels is quite obvious. One can fly, the other cannot. To be more accurate, flying squirrels do not literally fly – they glide. 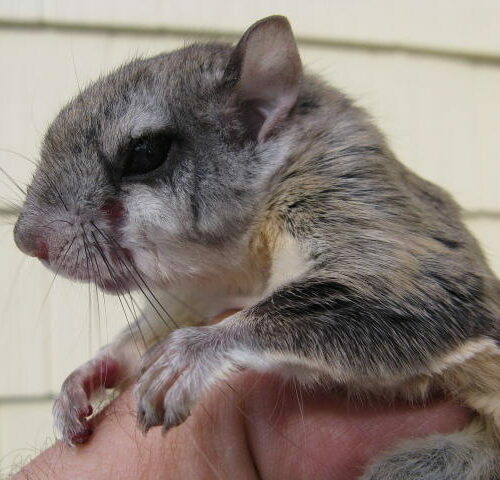 Flying squirrels (which are smaller than average squirrels) possess a gliding membrane called a patagium, which allows it to float. Work provided can include sealing an entire structure, but some individuals prefer to have us simply seal the entrance hole. For prevention, we also may seal all weak areas, dormesoffits, fascias, gable vents, attic fans and roof vents. Get in touch with us today!